Wowzers, Alycia!! This is absolutely Gorgeous! I am seriously coveting your large silver bowl …its beautiful. 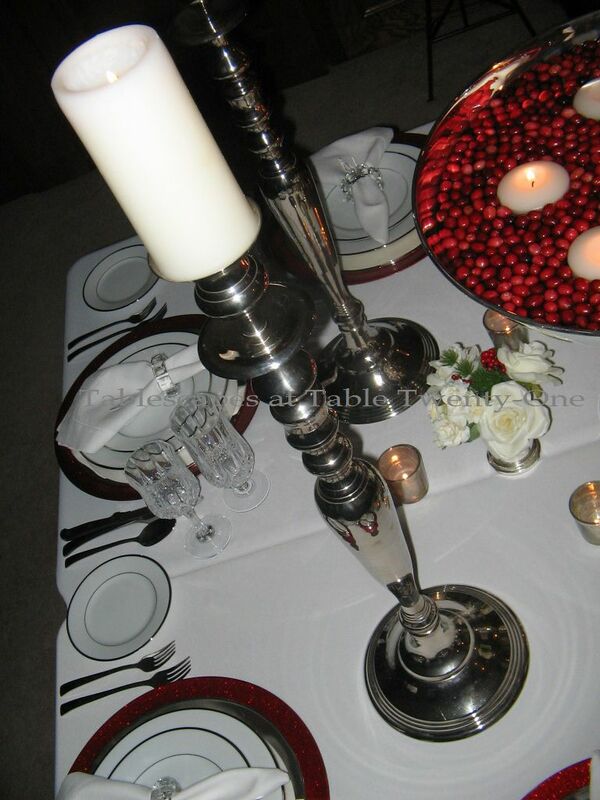 Every inch is elegant & polished & classy…Well done! 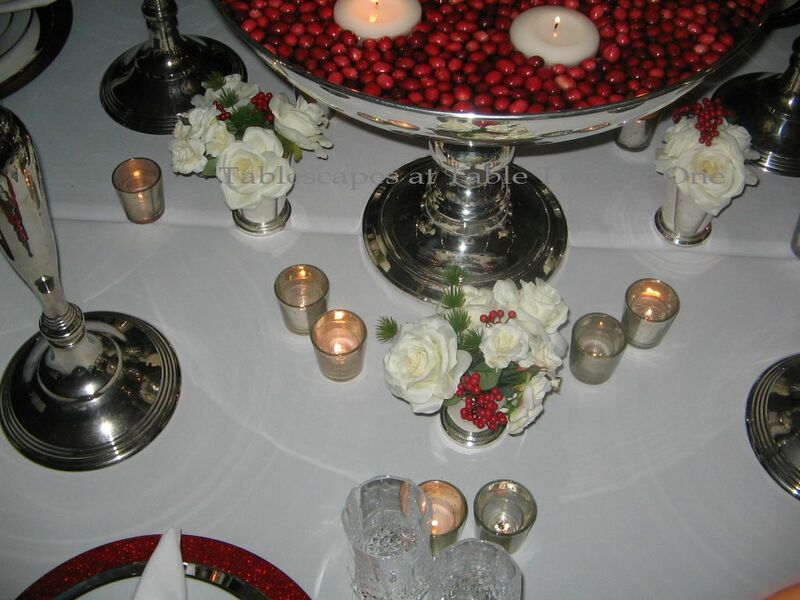 Cranberry Christmas ~ I love the floating candles and cranberries. And the berries with the white roses…excellent touch! Both tables are just stunningly gorgeous!! I do believe my fav is “squared”, as it’s a bit more intimate. Though I prefer the look of the long table, the square just lends itself better to a more intimate group with conversations which can be shared by all. It is also more practical if you want serving dishes of food on the table. I really love all the elements you put together, and the pieces are so classic, this table could have been set 100 years ago. Well done, my friend! 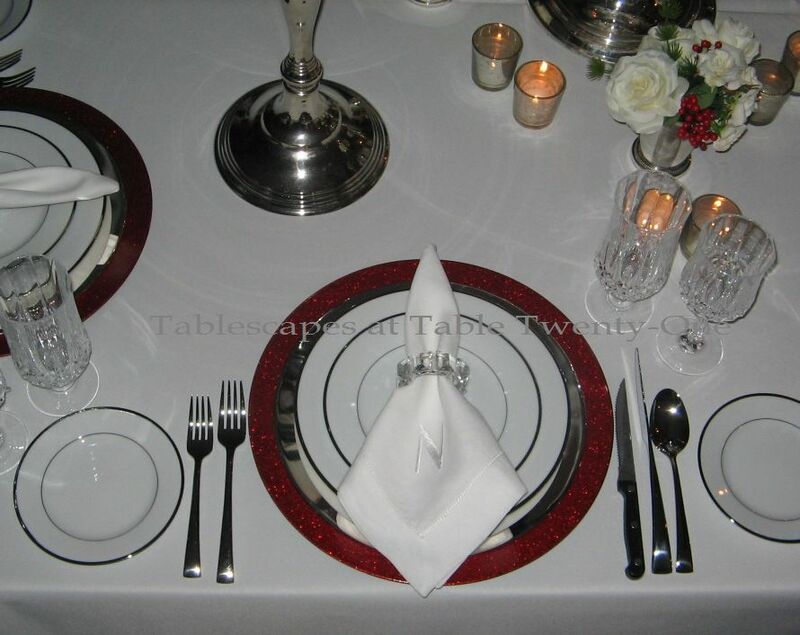 I love the clean and elegant look of the place settings. Holy wow! You are a hard worker! I do like this squared affect because it allows for better socializing. Those candlesticks make quite a statement set this way and the pedastal bowl really shows off nicely! Exquisite and refined! I hunted hard for a square table. Don’t know what possessed me to want one, but I love it. Conversations are much easier and there is no feeling of separation among guests. Mine has never looked so pretty as yours. You are amazing. Both tables are amazing as always! 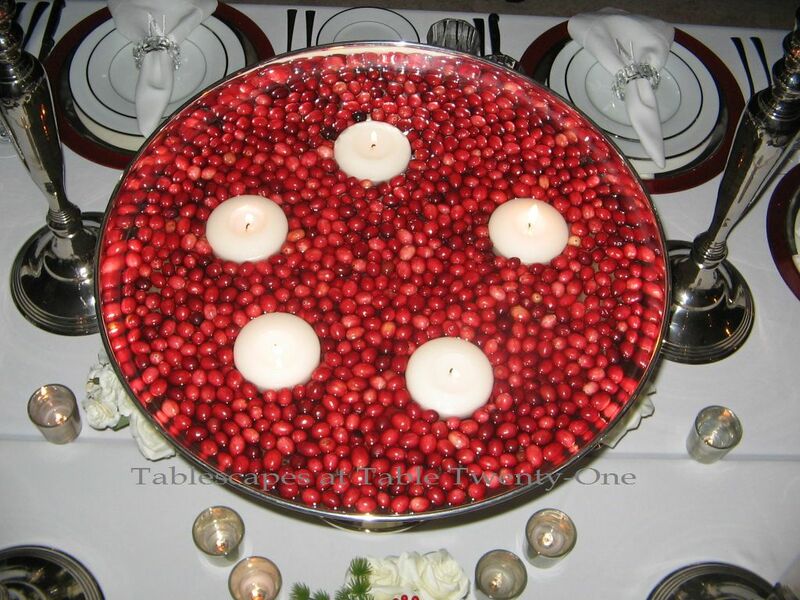 I love the little touches of red on the table and the cranberries are perfect for the holidays…and that pedestal bowl…WOW! I laughed as I read through the comment, glad to know I am not the only one who would love to take that off your hands. Honestly, my inspiration is YOU my sweet Lady. When I lay all my collections, I always think of your knowledge of creating the art. I so, love every table you sets. Keep going and I follow you. Wow, Alycia, you have been busy!! 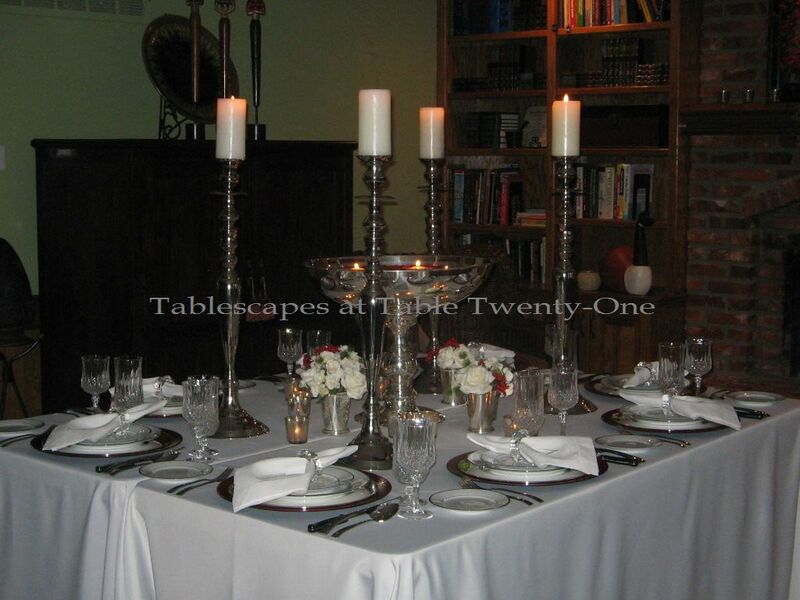 Both tablescapes are magnificent, you know I love those pedestal bowls, boy they really make a statement, as well as your tall candlesticks. The roses look beautiful in the julep cups. Every detail is magnificent! Well, I had a disaster similar to yours yesterday, so I can honestly say I know how you feel! Oh well, could have been worse. Merry Christmas, my dear!! Stunning is the word that comes to mind! 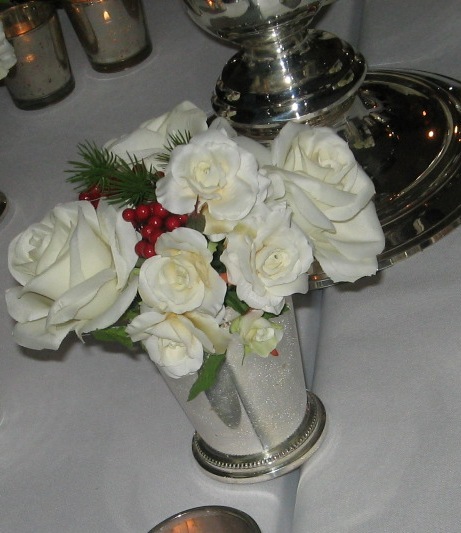 Love the white and silver and then the cranberry color just pushes it over the top! 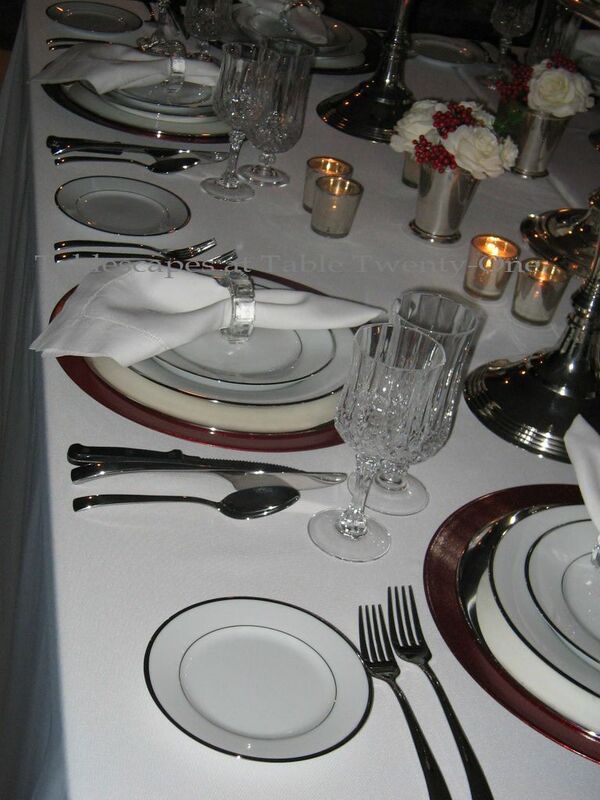 Wow what a beautiful table…you did an amazing job putting it all together. So many little elements, and they are all perfect when put together! Beautiful. Beautiful, A! I love the floating cranberries, so pretty! That bowl is stunning. Re the poinsettia, the flowers, bracts last, but I seem to lose the green leaves! Alycia, I saw your comment about Z Gallerie on Linda’s blog. I have to agree with you. I just walk in there and I am happy! I just had to come and tell you this because it makes me happy to know that that store makes someone else happy too! I was just there going crazy this week. We have to travel 40 minutes to get there, but I always want to stop by when we are near. This is another STUNNINGLY BEAUTIFUL table! 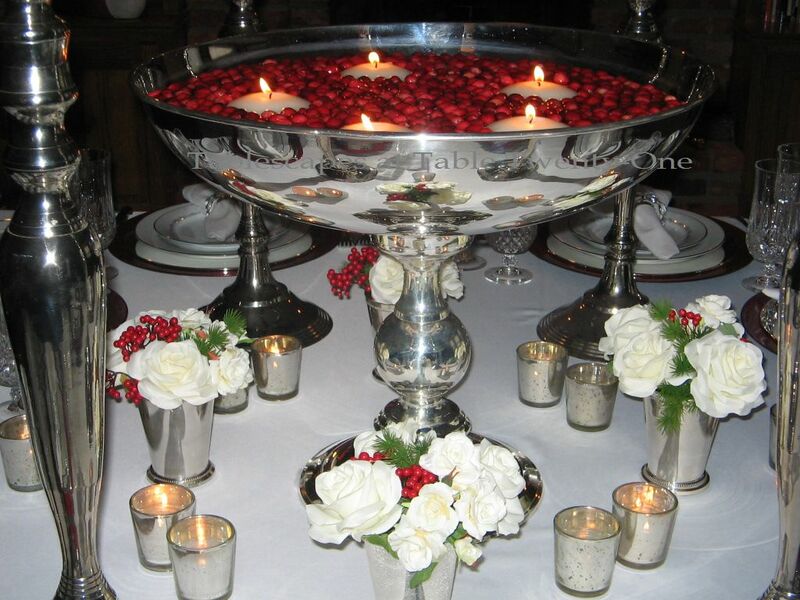 The silver…..the cranberries…..the two tables converging for a square, so perfect for large gatherings and so incredibly elegant! Your attention to detail is always mesmerizing to me!!!! You are one of the most gifted tablescapers in blogland…and one of the kindest!! !